WIT works very hard to ensure our graduates are whole, rounded individuals who understand not just the theory of their course of study, but also how to apply it in a meaningful way. Almost 80% of courses at WIT have a large element of work placement, international study, new venture initiative or community service element. This allows the student increased flexibilty to develop in ways important to them, improves communication skills, customer awareness, problem solving, decision making, technical skills, confidence and develops an ability to hit the ground running. The WIT Careers Office maintains a central register of staff who work on placements in the various courses/disciplines across the Institute. As an Institute, we value the commercial knowledge and the relationships we develop with employers as it enables us to combine theory taught to our students with practical work-based knowledge. WIT works with local, national and international employers across a range of industries and disciplines. If you are interested in work placements at WIT, please don't hesitate to get in contact with our School Offices. When you graduate and apply for a job, it is a real advantage to have work experience and be able to demonstrate that you can function effectively in a real working environment. Almost 70% of undergraduate courses have a work placement component - a period of business, industrial, international, public service or community placement during your course, usually in the third year. Our students tell us that work placements provide them with a connection between their course and how their studies relate to their career. How will I know if a course has work placement? 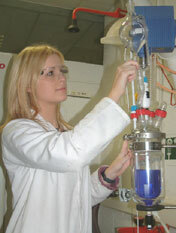 The majority of courses at WIT have some element of work placement or experiential learning. Be sure to check out the individual course on our website and it will list work placement as a special feature on the description page and also within the outline tab.